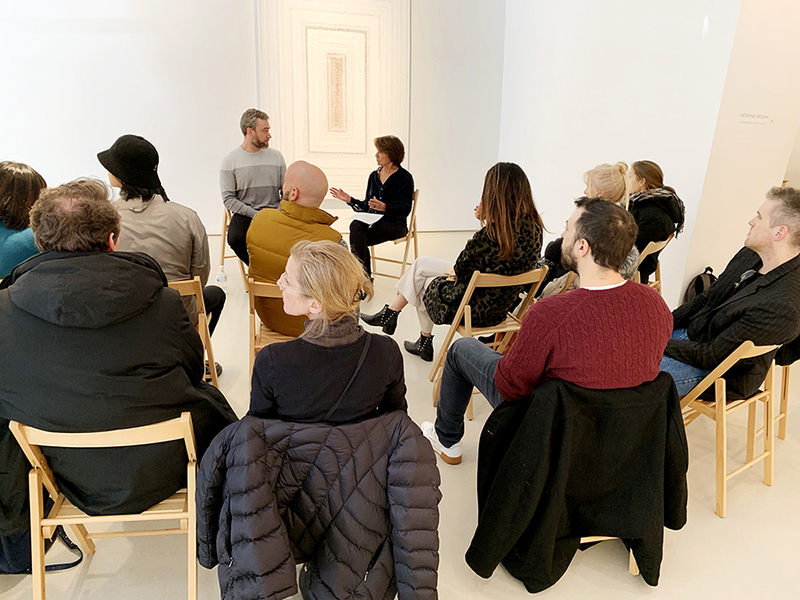 Friends, collectors, and admirers gathered at Nancy Margolis Gallery on Saturday, March 23rd, 2019, for an Artist Talk with Gregory Hayes. 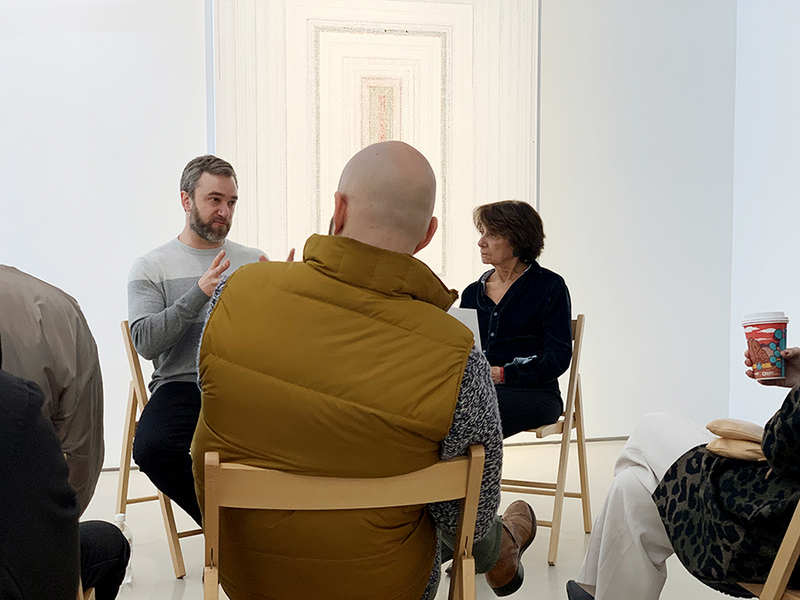 Through an interview with gallery director, Nancy Margolis, Hayes discussed the six large-scale paintings from his Color Array series that make up his fourth solo exhibition with NMG, From Faded Fragments. His exhibit will remain on view through April 13th.